python.org is getting a makeover! It is with great pride that on behalf of the Python Software Foundation and the community as a whole, I am pleased to announce that the official Python.org website, sub-sites, and back-end architecture are getting a total makeover. Python has grown significantly in the last few years, both in terms of audience and the amount of topical information about it. This abundance of information has outgrown the current website’s taxonomy and fundamental design. The key goal of the redesign project is to update Python’s official web presence with an eye towards better organizing the information we have today, and expect to add in the future. The end result aims to help our audience find the information they need whether it’s official information like downloads and documentation, or resources from our vibrant community. Although the current implementation of the Python website has served its purpose over the years, the time has come for the site to progress and complement the growth and maturity of the language itself as well as the vibrancy of the community. The redesign involves some tall tasks. From the fresh and modern UI/UX to the online and offline content editing features, no aspect of the project is to be taken lightly, or even incrementally. Such approaches have stalled and ultimately failed in the past, and rapidly outstrip the free time our community of volunteers can dedicate to the project. This is a process that started over two years ago with the drafting of the of the Request For Proposals. This year we issued it publicly, and since that time the psf-redesign team grew to include Nick Coghlan, Doug Hellmann, Idan Gazit, Steve Holden, Brian Curtin, Andrew Kuchling, Issac Kelly, Katie Cunningham, Noah Kantrowitz and others. The team received seven bids in total - all of them which included strong points and compelling stories. The team deliberated, ranked, discussed, and asked questions of the bidders, working through the bids for several months. We were constantly impressed by the high quality, well thought out, professional work that the community members submitted to us. After the review period came to a close, we had a single bid which ranked higher than any of the others, based on experience, references, and overall quality of the proposal. They'll be working with the second highest rated bid, which contained UI/UX and IA that absolutely floored the reviewers. The first bid, submitted by a joint effort between Project Evolution and Revolution Systems, was the overall highest ranked bid. The team was unanimous in our recommendation to proceed forward with this bid based on the credentials of the team, quality of the proposal, and their deep understanding of how to work with volunteer organizations, oversight and the community as a whole. This bid provides a clear project management and accountability system as well as detailing how they wish to work with the community as a whole to achieve the project goals. Second, we had the Divio.ch team bid. The IA/UX/UI work which they poured over 120 hours into as a company impressed us a great deal. We were quite literally floored by the amount of thought, planning, and work invested in the visual and IA aspects of the Divio bid. Together with Project Evolution and Revolution Systems leading the project, and the stellar Divio team consulting on the visual/IA aspects of the project, the redesign team and the board is sure that we will be able to deliver a next generation experience. The architecture being developed will achieve all of the goals we set forth when we went down the path of drafting the redesign RFP. RESOLVED, that the Python Software Foundation accept the Python.org site redesign proposal set forth by Project Evolution / Revolution Systems and Divio with a budget not to exceed $70,000 in total without further board approval. The redesign project will completed by the three teams, Project Evolution, RevSys, and Divio, with a division of labor using the best aspects of each team. The project plan and the back end will be handled by members of Project Evolution and RevSys. Members of Project Evolution will handle the front end work, incorporating the guidance of the Divio team. Project Evolution (PE) is a design driven development team founded in 1999 with clients ranging from school districts to Fortune 1000 fashion conglomerates with international holdings. The 12-person team includes creative leads, front-end and back-end developers, and associated support staff all committed to open-source technology. Revolution Systems, LLC., based in Lawrence, Kansas, was formed in 2002 by Frank Wiles to help businesses benefit from open source software. While many large organizations use open source software internally (sometimes without their knowledge), he realized that many organizations did not know how to properly take advantage of this revolutionary type of software. Divio, a web agency located in Zürich, Switzerland, builds web applications and is specialised in the areas of design and development. For production, Divio uses the Django web framework and is heavily involved in the development of the successful open source projects django CMS and django SHOP. The company relies on the agile SCRUM-methodology for its projects. I am sincerely proud, as both a Python community member and PSF director, to have been part of this process. The entire review team, every single submitted bid, and the Foundation's board works tirelessly for a great deal of time pulling together what is already turning out to be an impressive and surprising redesign. The design will work on mobile devices. It will follow all of the guidelines of the RFP, support accessibility requirements, and much much more. Most of all, it will showcase our language and global community like it has never has been before. Jesse Noller (person post on this), Director Python Software Foundation, on behalf of the entire team. From time to time, the Python Software Foundation receives grant requests for projects wishing to receive assistance to complete some task. In the past, grants have gone towards aspects of the PyPy project and the email6 redesign, and have even financed the creation of a new developer guide. Whether it’s a project central to the Python language or any of the great projects this community has created, the PSF is there for all and accepts requests from any projects that provide benefit to the Python community. Requestors are asked to provide answers to questions such as a project background, what work will be completed, who will be involved, who will benefit, and costs associated with the work. The requests then go before the board of directors, who then debate various aspects of each request and render a decision. The last two months were very interesting for the board, as we received two requests to help finance the porting of projects to Python 3. In October, the Kivy project reached out to us with a request to fund their porting efforts, where they requested a grant of $5,000 USD. Their plan includes the porting a number of Kivy project dependencies (their Android and iOS tools), the porting of a number of third-party dependencies (e.g., PIL, gstreamer, opencv), some work on their OSX and Windows packaging, and of course, the core Kivy codebase. On October 17, the board voted to approve the Kivy request. Their porting effort hopes to be a great story for Kivy and Python 3 on a number of platforms and interfaces, as Kivy supports development of applications for desktops, tablets, and phones, and includes support for multi-touch. We’re really looking forward to sharing more details as the Kivy port moves along. Just a few weeks ago, a request came before the board to fund porting efforts for the NLTK project. NLTK is the Natural Language Toolkit, a project which exposes very powerful linguistics tools to Python. For many, NLTK is one of the major remaining roadblocks to Python 3 adoption. As many projects have been ported and many more are working on it, getting NLTK on Python 3 will be huge for the community. On November 21, Mikhail Korborov was granted $1,000 USD to finish the in-progress port of NLTK under the watchful eye of project lead Steven Bird. Mikhail was recently added as a committer to the project after some time as a contributor, and he’ll be following their plan as laid out on their GitHub repo. Not only will the NTLK port be a boon to wider Python 3 adoption, but it should provide a good story for others to lean on when porting large codebases, especially when it comes to working with Python 3’s Unicode implementation. We hope you’re as excited as we are to see Kivy and NLTK making moves towards Python 3! We’ll follow up with progress reports as we receive them. On Friday, Python Software Foundation administrator Ewa Jodlowska presented Simon Cross with the PSF’s Community Service Award for the third quarter. The award was presented at the first PyCon South Africa in Cape Town, of which Simon is the lead organizer. Simon and team were able to start from the ground up and build a solid conference with a very nice schedule, including many of the community’s best speakers. They even brought in ten sponsors to help keep the conference costs low, including the PSF. Simon is also a leader in the Cape Town Python User Group, a group which often meets to discuss hot topics in the Python world. Along with talks, the group has been getting together to hack on projects they all use. In 2010 and 2011, the PSF sponsored sprints lead by Simon and crew to port matplotlib and Genshi to Python 3. The matplotlib code was merged but not yet released by the project, and Genshi has been available on Python 3 since shortly after their sprint. Simon’s efforts also extend around the Python community, where he’s a maintainer of Genshi and contributes to PyPy, among other projects. 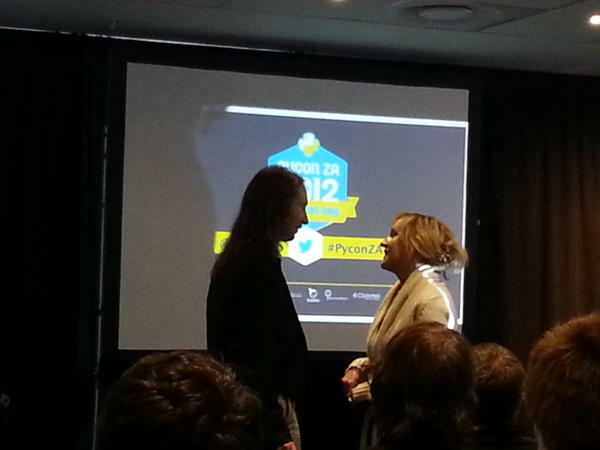 The PSF wishes to thank Simon for his efforts with PyCon ZA and everything else he does for the Python community. The Python Software Foundation, represented by director David Mertz, posthumously awarded Kenneth Gonsalves with the foundation’s Community Service Award for the third quarter. The award was presented to his daughter last weekend at PyCon India. Kenneth passed away on August 3, 2012 at the age of 59. After finding the open source world in 1995, he was drawn to the Python community in 2003 and has since taught over 50 seminars on Python and Django in his area. He was also a major contributor to many mailing lists, generously helping as many people as he could. 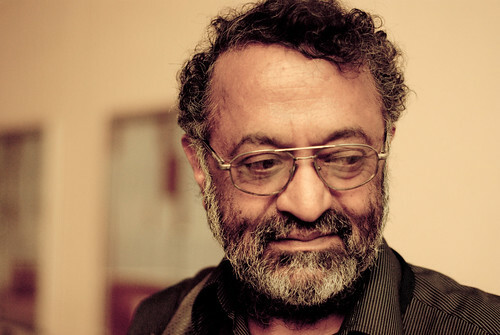 Kenneth was known for founding and leading the Indian Python Software Society, and is credited with helping to shape the Python community all across India. He was also a well known member of the Django community, where his presence and action will surely be missed. Outside of software, Kenneth took interest in golf, even becoming a referee and earning international certification. Throughout his time as an official he was assigned to several national tournaments. In addition to the Community Service Award, the foundation presented a grant of $3500 USD (~190K Rs) to the IPSS to seed an award in Kenneth’s name. The award is planned to be given annually to a community member who goes above and beyond to evangelize, innovate, and mentor other members of the Python community. As much of Kenneth’s work was focused on students, the IPSS wants to see further efforts in growing their community and educating the membership. Just the other day the Python Software Foundation held an election, the second and final one of the year, and the results are in! 18 new members were introduced, and the membership approved three new sponsor members. Please join us in welcoming all of them! Candidates for PSF membership are nominated by an existing member for their work in the Python community. The membership is comprised of people from around the world and from many areas of the community. These new members are selected from many different areas of the Python community. While some members are known for their contributions of code, many are known for their work to grow their local and regional communities. Some members are known for their work in educational workshops and conferences. It takes a diverse membership to ensure the success of a foundation steering a diverse community, so we're happy to have members of all types from all areas, both geographically and within the Python world. The Python Software Foundation donated USD $600 to the first Python Conference in the Philippines. The conference will be held in Manila from June 30th to July 1st, 2012. The organizers behind this conference are the Philippines Python User Group (PHPUG), pyDanny, Audrey Roy and various other members of the Python community. You can meet and greet them in a very nice tropical clime. Who wouldn't want to study Python on a beautiful island? They're still accepting registrations, so act fast! The Python Software Foundation is happy to announce the sponsorship of five upcoming Python related conferences all over the world. The PSF donated EUR 3500 to EuroPython which is being held in Florence, Italy this year from July 2-8. Next on the calendar is PyCon Australia 2012, which the PSF granted AUD $1500 . The Pythoneers down under will be in Hobart, Tasmania on August 18th through the 19th. The PSF gave NZD 1000 to Kiwi PyCon which is being held September 1-2 in Dunedin, New Zealand. PyCon Argentina received USD $3000 in funding this year. They will be holding their conference in Buenos Aires starting November 12th and running through the 17th. Finally PythonBrazil also received USD $3000 in funding and will be holding their conference November 21-24 in Rio de Janerio. If you're in the area or in the mood for travel and you want to learn some Python or just meet some of the international Python people, this year is a good one. You can travel to scenic Italy for EuroPython, head down to Australia for their exotic animals and then take a boat over to New Zealand for Kiwi PyCon. When it starts getting cold outside, you can head down to South America and spend a couple weeks learning Python in Argentina and Brazil. Can you think of a better way to get out of the cold? If you're in the Indianapolis, Indiana area on April 13-14, join the locals from IndyPy as well as the Boston Python Workshop and OpenHatch in a weekend workshop. The groups have joined forces to create a beginner-friendly environment with a focus on involving women of the community and introducing computer programming with Python. There's no prerequisite knowledge required to attend, as the weekend is planned for true beginners not just to Python but to programming in general. For the full details, see https://openhatch.org/wiki/Indianapolis_Python_Workshop. One of the weekend's stated goals is to "increase Python community diversity through programming outreach events." The event is female-focused and is staffed primarily with women, and encourages attendees to bring a friend. For men who are interested in the event, bring along a female friend to get involved with you! The group's organizers, Catherine Devlin and Mel Chua, with the help of Boston's Jessica McKellar, want to get you writing and enjoying programming. Another goal of the event is to introduce and involve the attendees in their local community, fostering growth of events such as Indiana LinuxFest (where the workshop takes place) as well as local meetups and project nights. If you're interested in coming out and joining the fun, sign up on the IndyPy Meetup and sign up for Indiana LinuxFest as well! If you're interested in sponsoring the workship, please email event organizer Catherine Devlin at catherine.devlin@gmail.com.